Obesity is prevalent in children with chronic kidney disease (CKD), but the health consequences of this combination of comorbidities are uncertain. 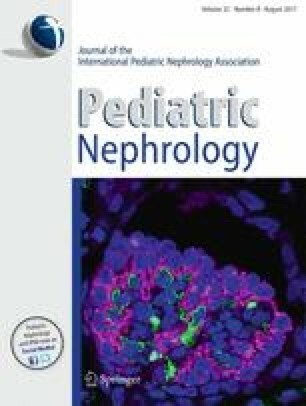 The aim of this study was to evaluate the impact of obesity on the outcomes of children following kidney transplantation. Using data from the ANZDATA Registry (1994–2013), we assessed the association between age-appropriate body mass index (BMI) at the time of transplantation and the subsequent development of acute rejection (within the first 6 months), graft loss and death using adjusted Cox proportional hazards models. Included in our analysis were 750 children ranging in age from 2 to 18 (median age 12) years with a total of 6597 person-years of follow-up (median follow-up 8.4 years). Overall, at transplantation 129 (17.2%) children were classified as being overweight and 61 (8.1%) as being obese. Of the 750 children, 102 (16.2%) experienced acute rejection within the first 6 months of transplantation, 235 (31.3%) lost their allograft and 53 (7.1%) died. Compared to children with normal BMI, the adjusted hazard ratios (HR) for graft loss in children who were underweight, overweight or diagnosed as obese were 1.05 [95% confidence interval (CI) 0.70–1.60], 1.03 (95% CI 0.71–1.49) and 1.61 (95% CI 1.05–2.47), respectively. There was no statistically significant association between BMI and acute rejection [underweight: HR 1.07, 95% CI 0.54–2.09; overweight: HR 1.42, 95% CI 0.86–2.34; obese: HR 1.83, 95% CI 0.95–3.51) or patient survival (underweight: HR 1.18, 95% CI 0.54–2.58, overweight: HR 0.85, 95% CI 0.38–1.92; obese: HR 0.80, 95% CI 0.25–2.61). Over 10 years of follow-up, pediatric transplant recipients diagnosed with obesity have a substantially increased risk of allograft failure but not acute rejection of the graft or death. The online version of this article (doi: 10.1007/s00467-017-3636-1) contains supplementary material, which is available to authorized users. ML is the recipient of an NHMRC Postgraduate Scholarships Grant: Clinical Postgraduate Research Scholarship APP1074409.